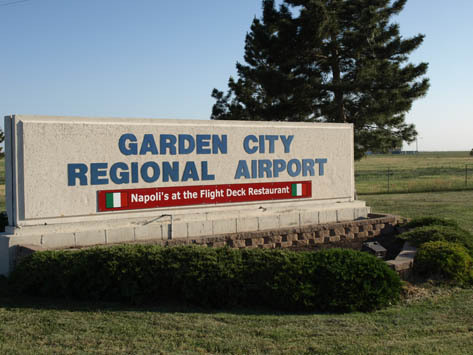 The flight plan to the restaurant that was my destination landed me around 10 miles from the heart of Garden City at its airport. Here, Napoli’s at the Flight Deck Restaurant is flying high with a first class reputation for authentic Italian food and window seats offering views of planes taking off on the runway nearby. Nibbling on fresh baked bread I dipped in seasoned olive oil, I piloted my way through the extensive menu. My husband was on board when I suggested Stuffed Mushrooms for an appetizer; the fresh mushrooms full of crab meat were sautéed in olive oil, garlic and basil, and then topped with more crab meat in a cheese sauce. What a way to start our meal! Chef Mario Dullovi, who was reared in Sicily, credits his mother for teaching him how to cook and suggested I try Chicken Napoli, made from her recipe, as my main course. Sauteed with tomatoes, onions and basil, the grilled boneless chicken breast was served in a rich brandy cream sauce over spaghetti. Magnifico!Hubby ordered the Pasta Sampler that included a half-order each of Ravioli, Lasagna and Manicotti baked together and topped with marinara sauce and mozzarella cheese. How do you say delicious in Italian? On my radar for next time is Linguini tutto del Mare, which is shrimp, mussels, scallops, calamari and baby clams sautéed in a white wine garlic butter sauce and served over linguini. Or maybe I’ll try Cannelloni, thin sheets of pasta rolled and stuffed with beef and spinach, then topped with marinara sauce and mozzarella cheese. Just the ticket for dessert is tiramisu, cannoli, or cheesecake in five flavors.I just might have to book a trip to Napoli’s again real soon and bring along some kids who love pizza and watching planes taking off and landing! Oh the fun we could have…Where is your favorite authentic Italian restaurant in Kansas?